The NANOE Scandal – The National Association of Nonprofit Organizations & Executives (NANOE) is a scandal to the elites of the nonprofit establishment because we dare to question their authority. We have the audacity to thwart their attempts to govern the nonprofit sector with broken models, arrogant piety and ever-increasing rules and regulations. Because we question the establishment, NANOE is accused of hubris. This is comical because it is precisely the hubris of the establishment we are questioning. 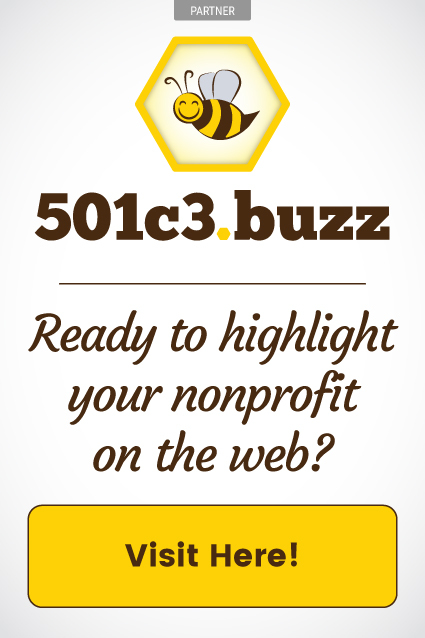 They fly above reality and look down on those who are working hard every day for small and medium nonprofits. They pass down rules and regulations from on high because they presume to know what’s best for you. They don’t trust you to lead your organizations and they don’t believe you can determine what is best for your communities. Because the establishment has been unquestioned for so long, they fly too close to the sun. Yet, this is not the first time we have watched this story unfold. In first century Palestine, the Pharisees believed they were the keepers and interpreters of the Law passed down to Moses from God. They disliked Jesus because he undermined existing power structures in favor of an egalitarian view of community. The Pharisees were unchallenged and unquestioned for generations and were appalled by the audacity of Jesus to question their rules and regulations. So threatened by Jesus’ message of grace and love, the Pharisees (and other religious leaders of the day like the Sadducees) conspired to have him arrested and killed at the hands of the Romans. A few decades later, a leader of the Pharisees name Saul converted to Christianity and emerged as a leader in the early Church. Using his education and debating skills, the newly named Paul picked apart the fallacies of the Pharisees with one simple premise: people cannot earn God’s grace, it is a free gift. Making the Cross central to Christian theology, Paul scandalized the establishment by throwing out their rules and regulations. Paul enabled Christians to realize God’s perfect display of unconditional love for the undeserved is found in the Cross. In the Cross, Christians find there is only one thing that matters: love. Love is what creates, sustains and redeems. Love is what leads to salvation, not rules made by humans. The scandal of the cross is this: Jesus’ death and resurrection undermined and destroyed every concept humans have about God (see 1 Corinthians 1:23 also translated as “stumbling block”). No longer could God be viewed as an angry judge but now was viewed by Christians as a grace filled, loving creator. 2000 years later in the nonprofit community, a group of Pharisees have become the self-appointed makers of the law. They are not keeping laws from God, rather, they are keeping rules and regulations they created and interpreted for themselves. Doubling down on their failures, they are making more rules as they go along. For them, NANOE is scandalous because we don’t adhere to their rules. We don’t subscribe to their broken models. We aren’t afraid to question the norms they have established from their ivory towers. While the nonprofit establishment is happy to receive your membership dues and your time and talents to maintain their power structures, they are not interested in helping you grow your impact or your salaries. None of their rules help you make payroll or pay your bills. The NANOE Scandal is that we question the authorities and boldly state what so many have been thinking and whispering for a long time: philanthropy is about promoting the needs and goals of donors, not the needs and goals of nonprofit organizations. As philanthropists see their goals being met, they give more and mission grows. The establishment would have you believe the myth that there are thousands of philanthropists waiting to give you money to save your organization from crisis. Yet, the opposite is true. Philanthropists look to nonprofits to help them achieve their goals for their families. Philanthropists give to success, not to struggle. The establishment is scandalized by NANOE’s approach because we place the priority on serving donors rather than on serving the organization. We do this for one reason: when donors’ needs are met, impact flourishes and more people in need are helped. The establishment accuses NANOE of being unhinged and they are correct! We are unhinged (untethered) from the old models that don’t work. We are not inside their box or outside their box…we threw away their box! We refuse to follow the rules the establishment have created to keep themselves ensconced in positions of power. They are piously appalled at the very idea of NANOE because we don’t tow their party line. Here is the irony: NANOE was created because of the failures of the establishment. 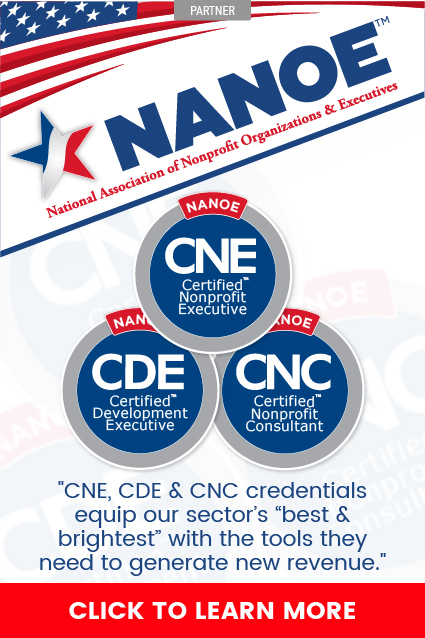 If the nonprofit sector was growing as a percentage of GDP, if problems like hunger and homelessness had been eradicated, if nonprofit professionals weren’t frustrated and underpaid, then we wouldn’t need NANOE. While the establishment attempts to shout us down, they have only themselves to thank for this movement of change. The bottom line? There is only one thing that matters: money. The pious Pharisaical Puritans of the nonprofit establishment will say, “No! The only thing that matters is mission!” But they miss the point. At NANOE, we want to change and save more lives (i.e. grow mission) and we understand the way to do this is with money. Money allows you to deepen and broaden your impact. Money allows you to expand your programming and your staffing. Money allows you to recruit and retain the best employees. Money allows you to make change for generations. You need only look to major universities and hospitals to know the truth of our claims. At NANOE, there are no secrets; there is no piety; there are no ivory tower elitists telling you how to run your nonprofits. 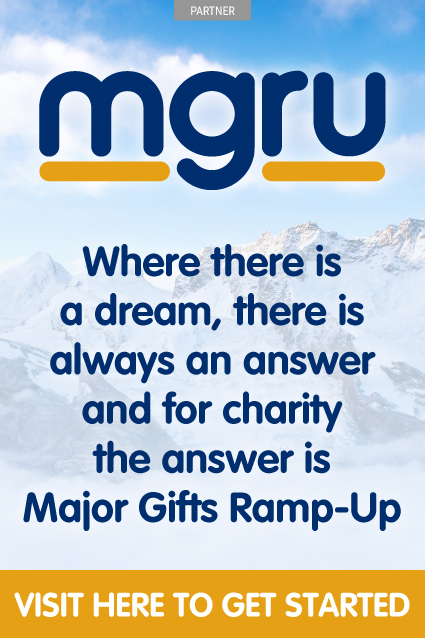 Instead, with your guidance and wisdom, we apply sound free market business principles to help you grow your mission and help you make more money! If you feel safer with the establishment and believe they have your best interests in mind, we understand. But if you are willing to question broken norms, if you are open to change, if you want to be part of this egalitarian movement of the free market, then we welcome you to NANOE! We are looking forward to continuing this journey with you. The NANOE Scandal was written by Reverend Louis Fawcett, who holds a BA from Randolph-Macon College and two Master Degrees from Wake Forest University and Lutheran Theological Southern Seminary. He was privileged to Pastor three Lutheran congregations in Florida, North Carolina and South Carolina. His service to the charitable sector began with his work at Christian World Foundation where he raised support for orphans in China, Russia and Ethiopia. During the 2008 recession, Louis led a successful campaign to build a children’s home in Ethiopia. Following the 2010 earthquake, Louis transitioned to Haiti Children, a charity serving destitute families and children in that island nation. In 2013, Louis accepted the position of Senior Vice President of Principal Gifts at EdVenture Children’s Museum where he forged collaborations with under-resourced communities throughout South Carolina. He has served Central South Carolina Association of Fundraising Professionals (AFP) for seven years as both board member and president. He was honored in 2016 as AFP’s Outstanding Fundraising Professional. His journey has prepared him to lead a NANOE Reformation of the charitable sector. The post The NANOE Scandal – Putting Money First – Louis Fawcett appeared first on NANOE | Charity’s Official Website.